"We have our fake tours at home. We imagine that we're performing at those places when actually we're just performing in our basement." 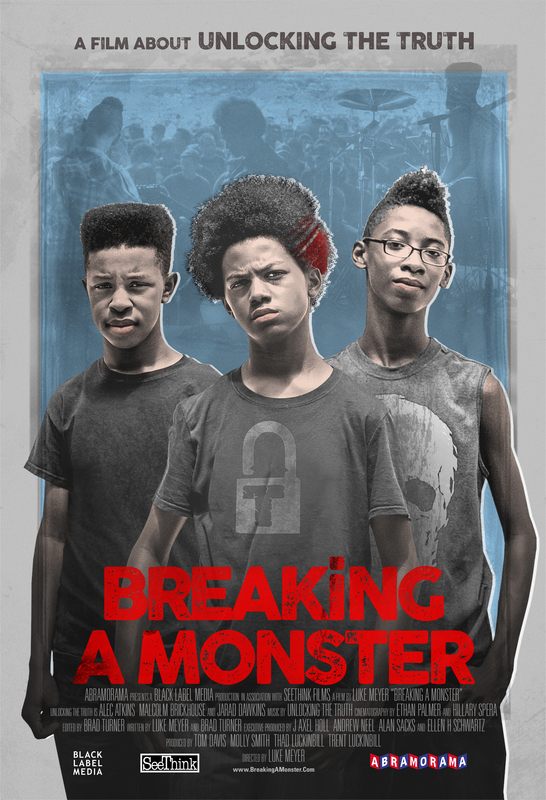 The new music documentary “Breaking a Monster” follows three African-American seventh graders from Brooklyn — Alec Atkins, Malcolm Brickhouse and Jarad Dawkins — who are in the metal band Unlocking The Truth. They initially spent their weekends playing to substantial crowds in Time Square, but when one of their performances ends up on YouTube, the band takes on the 70-year-old industry veteran Alan Sacks as a manager. Soon, the band is on their way to $1.8 million record deal with Sony Music Entertainment. But when Unlocking The Truth the band quickly breaks out, the constant performance schedule and media demands weighs on the boys and their parents. Soon, the boys have to face early adulthood during a period of immense change while the eyes of the world are watching them. Watch the exclusive trailer for the film above. “Breaking a Monster” is directed by Luke Meyer, who previously co-directed with Andrew Neel the documentary “Darkon,” about the Darkon Wargaming Club, a group of fantasy live-action role-playing (LARP) gamers in Baltimore, and “New World Order,” a doc following the activities of conspiracy theorists who wish to expose the secrets of the world they live in. “Breaking a Monster” will be released by Abramorama this summer nationwide starting with a June 24 release in New York City and a July 1 release in Los Angeles. For more information, head to the film’s official website. Check out an exclusive poster below.